Our rentals include lens, viewfinder, tripod, tripod plate and power at one low price. Rent ICV’s Panasonic AG-HPX500 cameras and great a great image with fast flexible P2 recording. Use this with our Flypack rentals and record to P2. Use our AjA KiPro recorders for backup recording. The HPX500 is a versatile camera that people rent over and over for a lot of reasons. It’s great for mobile shooting, tight quarters or small sets. Powered by 3 2/3-inch CCDs, this Panasonic camcorder can output a variety of HD and SD formats including 1080p. Adjustable (not just variable!) frame rates, 32 different recording modes and true 4:2:2 DVCPRO HD recording at 720p and 1080i resolutions. In addition, the camera offers HD-SDI and genlock. 4 XLR inputs allow you to interface the Panasonic AG-HPX500 camcorder with a variety of audio devices for excellent audio reproduction. Firewire out allows for easy connections to a Laptop for encoding or even a RAID drive for backup. The HPX500 is a world-class camcorder that can shoot 24fps/25fps 50Hz/60Hz. For global shooters like us who frequently work in Europe and around the world, this is a big deal. ICV rents the HPX500 for less then anyone else. $350.00 / day. That includes the Tripod, Plate, Power Supply and 2 batteries at no extra charge. Our HPX500 exhibits at least two stops better performance in low light than similarly priced HD rental cameras. Our testing using a 17 percent grey chart and CDM reference chart indicates a true ISO rating of at least 640, very respectable. 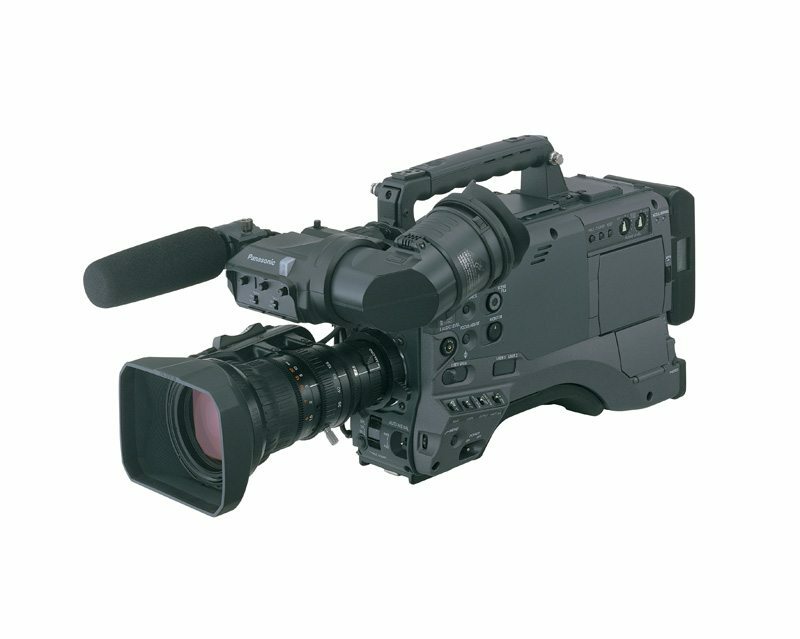 A state of the art DSP with 14-bit A/D conversion and 19-bit HD/SD conversion allows this Panasonic camcorder to be used for a wide variety of tasks as you can tailor the output according to the style and setting of the event. 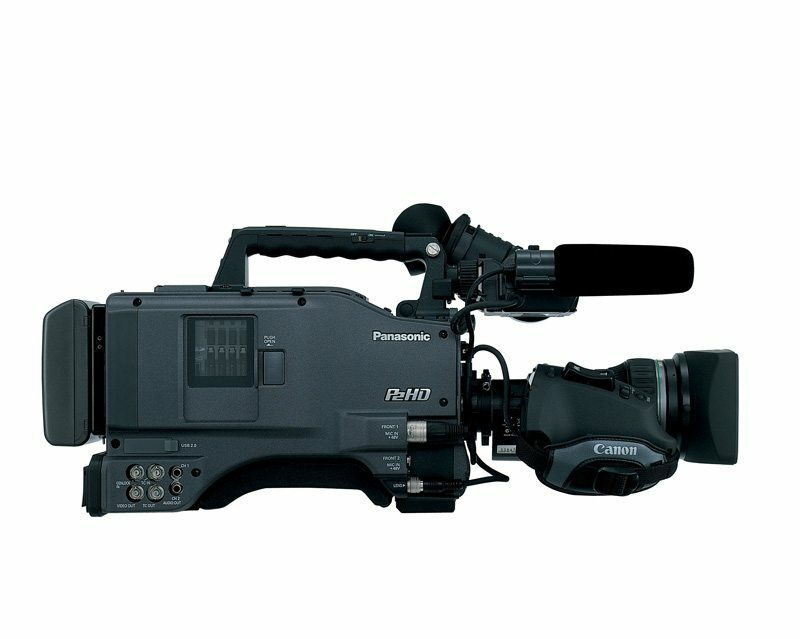 All in all, the plethora of features and relatively small form factor makes this Panasonic HD camera well suited for studio shoots, or back of room video production when packaged with our Video Flypack rentals. Our rentals include lens, viewfinder, tripod, tripod plate and power at one low price.